Command Performance is the Carolina Theatre’s annual gala and fundraiser. Proceeds provide additional operating funds for the 91-year-old theatre, Downtown Greensboro’s original performing arts center. Legendary music icons, THREE DOG NIGHT, celebrating nearly five decades, claim some of the most astonishing statistics in popular music. In the years 1969 through 1974, no other group achieved more Top 10 hits, moved more records, or sold more concert tickets than THREE DOG NIGHT. Boasting chart and sales records that are virtually unmatched in popular music, THREE DOG NIGHT had 21 consecutive Top 40 hits, including 3 #1 singles, 11 Top 10’s, 18 straight Top 20’s, 7 million-selling singles, and 12 straight RIAA Certified Gold LPs. The hits appeared on best-selling charts in all genres (pop, rock, and country). Their records continue to sell around the world, reaching beyond the borders of the U.S. into Japan, Canada, Holland, England, Germany, Spain and elsewhere. Tens of millions of THREE DOG NIGHT records have been sold through the years. 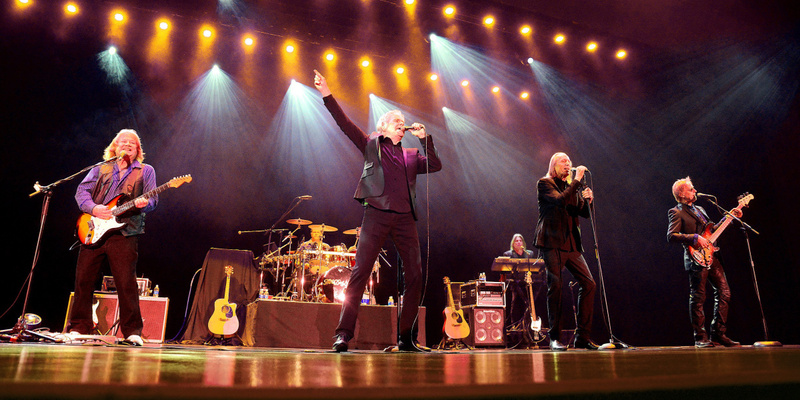 Today, THREE DOG NIGHT maintains an aggressive, year-round touring schedule of over 70 dates a year. The hit-filled concerts are performed for generation-spanning audiences by Danny Hutton (founder/lead vocalist) and Michael Allsup (guitar), Paul Kingery (bass/vocals), Pat Bautz (drums), Howard Laravea (keyboards), and David Morgan (vocals). More at ThreeDogNight.com. Please note: A $3 Theatre Facility Fee and North Carolina sales tax will be added to concert-only tickets. (Gala tickets include taxes and fees.) Guests can opt to have tickets mailed for a $1 postage fee, or can pick up tickets in Will Call for no additional charge. There is an additional $3.50 per ticket web fee for online purchases; call the Carolina Theatre Box Office at 336-333-2605 to avoid this charge.